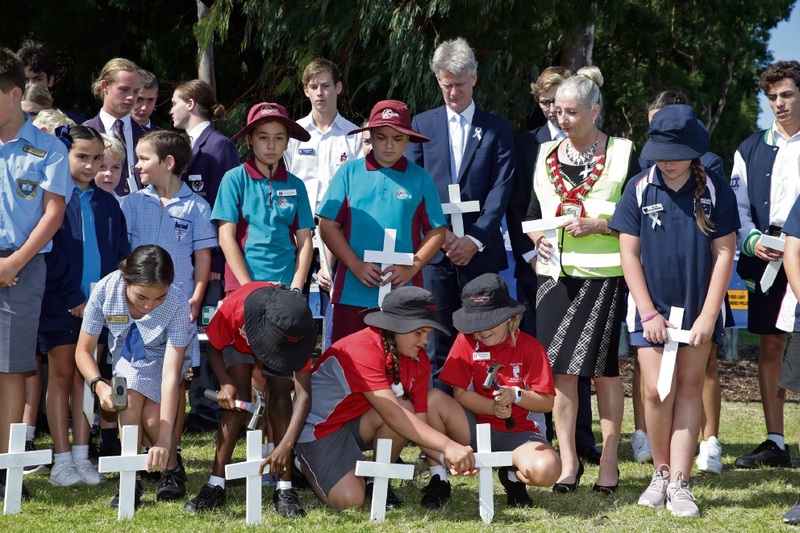 A MARANGAROO school volunteer and a former road safety officer received awards at the City of Wanneroo’s ‘Blessing of the roads’ ceremony today. Rusty Nelligan, who volunteers at Rawlinson Primary School, received a human spirit award at the April 11 event in Hocking. He was nominated for his work maintaining safety on the roads outside the school, and for going above and beyond to ensure students cross safely. Ryan Gibson, who now works for the City of Rockingham, also received an award for his work when he was a road safety and Travelsmart officer at the City of Wanneroo. Mr Gibson implemented the RoadWise Working Group’s strategic action plan, helped develop the City’s cycle plan and conducted a review of road speed limits within the City. Members of the Wanneroo RoadWise working group also received recognition for their volunteer work with the Driver Reviver van, as well as free caravan and trailer safety checks. 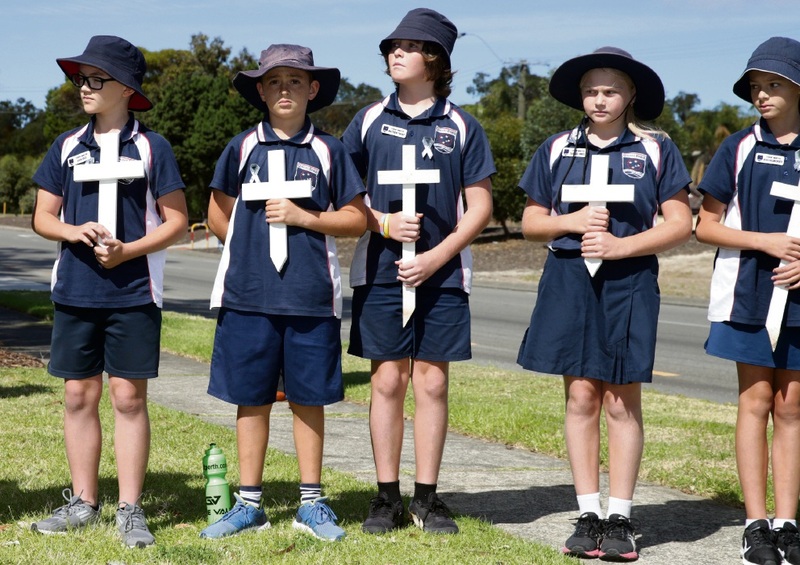 The April 11 ceremony at Greenfields Park served as reminder of the importance of road safety during the Easter holiday period. WA Police Chaplain Joe Newbold and Wanneroo Mayor Tracey Roberts. Mayor Tracey Roberts urged road users to take care on the roads and to share the road safety message with others. 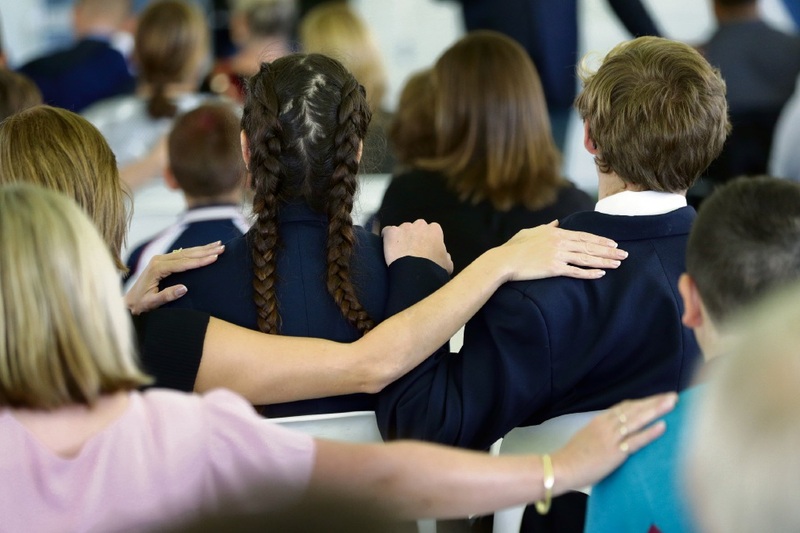 “In 2018, we lost 158 lives on WA’s roads, and between 2013 and 2017 a total of 7365 people were killed or seriously injured on roads in the Perth metropolitan region alone,” she said. Shaun Nannup gave the Welcome to Country. “Again and again the same contributing factors emerge: fatigue, excessive speed, driving under the influence of drugs or alcohol and not wearing a seat belt. “This means that many of the hundreds of fatalities and thousands of serious injuries that have occurred on our roads in recent years – often involving innocent victims – could and should have been avoided. 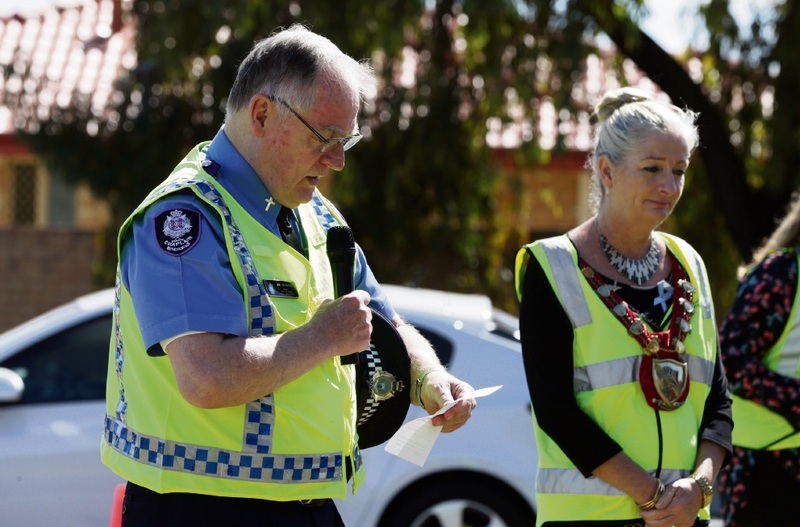 WA Police Chaplain Joe Newbold prayed for the safety of all road users, including emergency services staff who often deal with road trauma during the holiday period. 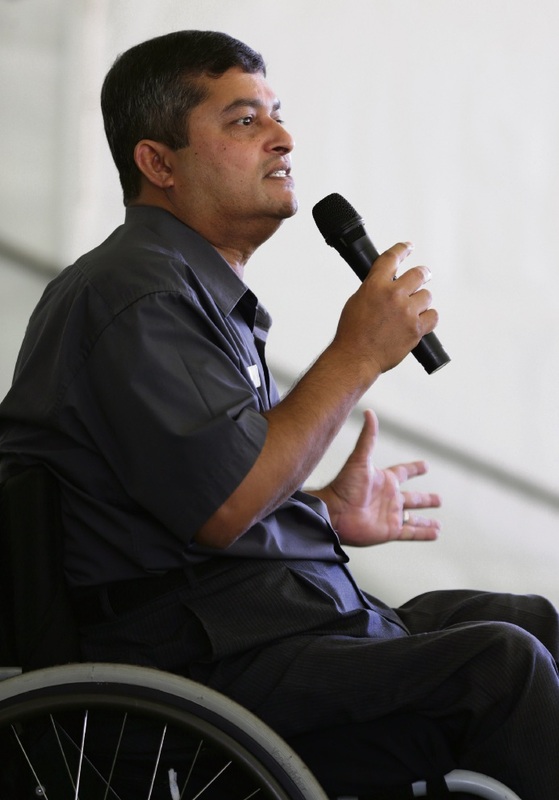 Guest speaker Neil Hart from the Paraplegic Benefit Fund Australia. 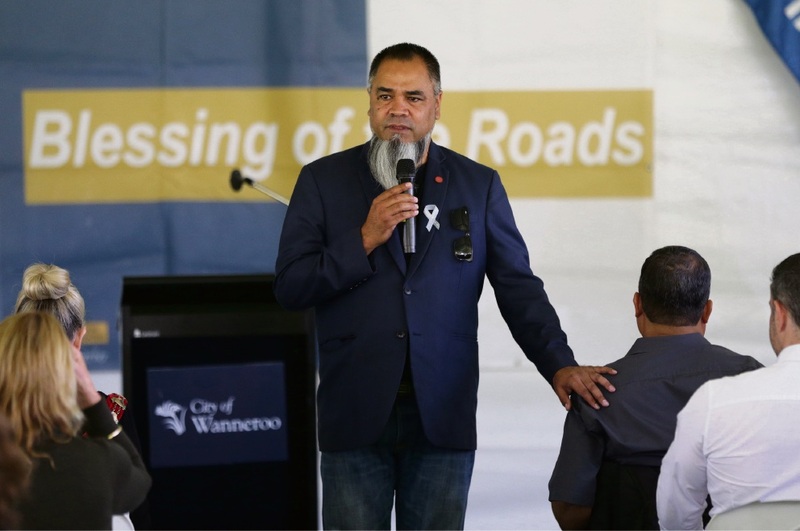 Guest speakers included Road Safety Council chairman Iain Cameron and Neil Hart, an injury prevention speaker for Paraplegic Benefit Fund Australia. 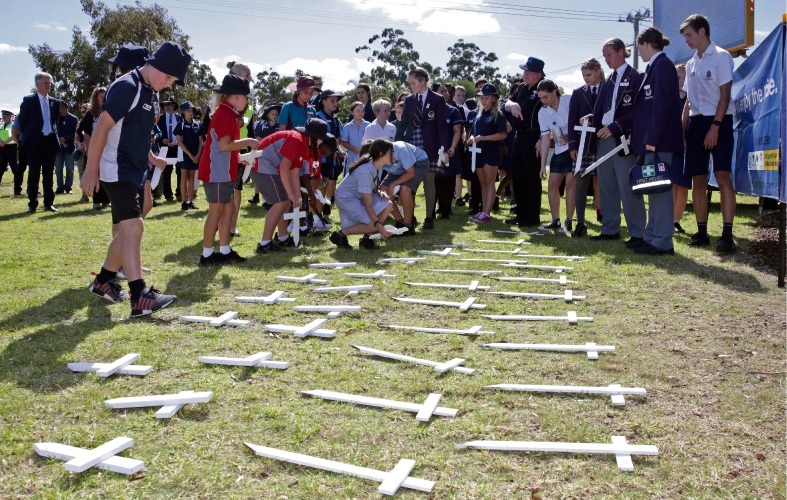 Representatives from WA Police and the Department of Fire and Emergency Services attended the event, and school students placed white crosses in the ground to pay respect to victims of road fatalities.